I was recently contacted by Michael, a genuine trader who registered and funded an account with InsideOption.com. Michael was deeply concerned about the possibility of fraud committed by this broker and possibly having his money stolen so he contacted me. I immediately advised him to collect all the documents he sent them and all the correspondences going back as far as he can remember. What I received was a package of Emails, screenshots, and documented conversations which tell an all too well-known story about how a bloodthirsty, swindling, unregulated broker steals money from unsuspecting victims. Now, here’s the important thing to remember. Michael was most likely lured in by an advertiser who most likely already received his commission, so in order for the broker to make money the trader has to lose it. This is called a Market Maker broker, as opposed to ECN or an Electronic Communications Network which is backed by a liquidity provider and profits based on trading volumes not win/loss ratios. After sending these ripoff artists an email and verifying it arrived, I gave them 24 hours to provide proof of payment. Needless to say they didn’t bother replying because they have no intent of paying, so what can they say right? After looking deeper into their website I started getting a picture of who these crooks are. First of all, they have PCI Compliant, Verisign, and GeoTrust logos. This could not be farther from the truth since the URL bar would have a yellow lock sign on it saying it is secure (see image above). Furthermore, there is a collection of fake “certified by” logos in the registration page. These logos don’t mean anything and are also not clickable. When you click a logo a window is supposed to pop up and show you the name of the owner and when the license expires. There is also a number there in case you wish to report a complaint about the business or the service you received. OK so, this guy Michael started flooding me with all the documentation he sent which included a deposit approval form, front and back photos of his cards, utility bills, and his driver’s license, until I told him to stop because there’s more than enough here to prove they are thieves and should be sent to jail for running an investment scam. Strictly speaking, if the broker is not regulated there’s not much you can do except threaten a dispute with your credit card company. That’s more or less the only thing that may work, but you will never see your winnings, just the amount you originally invested and you should consider yourself lucky in a case like this. OK, so let’s conclude! insideoption.com is a complete scam and who knows who or where they are. They claim their address is in Stoney Ground, Kingstown, St.Vincent and the Grenadines, you are welcome to seek them out and ask what they have to say about this. If I had to bet I would say they are either somewhere in Russia or the Caucuses – a place like the Ukraine or Moldova, or alternatively somewhere in the Middle East running a scam with a pack of dirty sales agents. It’s important to remember this begins with very attractive offers like Insured Profits and the Free Money System (Walter Green), where they promise you riches and prosperity. 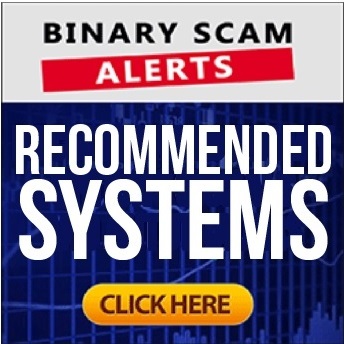 These are just scams affiliates use to get you to deposit with one of their brokers, or alternatively it can be the broker himself posing as an affiliate to enjoy deniability. Either way, you can only lose so if someone has scammed you before please leave a comment below and tell us how it happened and how much money you lost.